Things are about to get seriously busy in Edinburgh, as the 2014 Fringe Festival is nearly upon us. This year my partner, who is variously a freelance writer, poet, stand up and poor person, has taken it upon himself to write and perform two shows as part of the free Fringe. One is a spoken word show called Knife Whimsy, taking place at George Next Door. 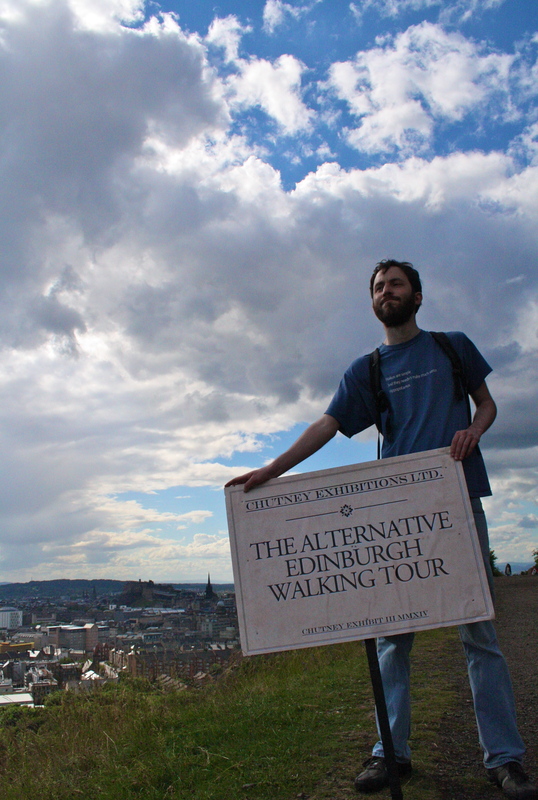 EDIT: The Alternative Edinburgh Walking Tour starts at 3.30pm beside the giraffes at the Omni Centre (top of Leith Walk) on Saturday and Sunday only throughout the Edinburgh Fringe Festival except the 17th. The first performance was on Friday August 1st. The tour was written by Andrew Blair (@freelance_liar) with contributions from James W. Woe and David Bard, and general support from other members of the Chutney Exhibition. It is free, but tips and/or sandwiches are gratefully accepted. If you get the chance to go then do, and feel free tell your friends, enemies, families and strangers. We’re saving up for a wedding, you know.